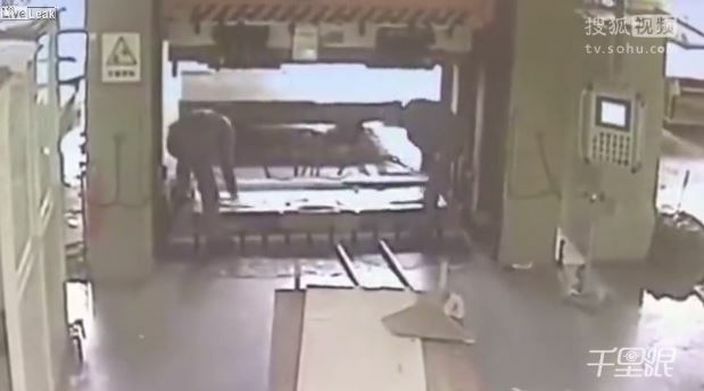 An online video shows two workers who were placing materials under a hydraulic press. 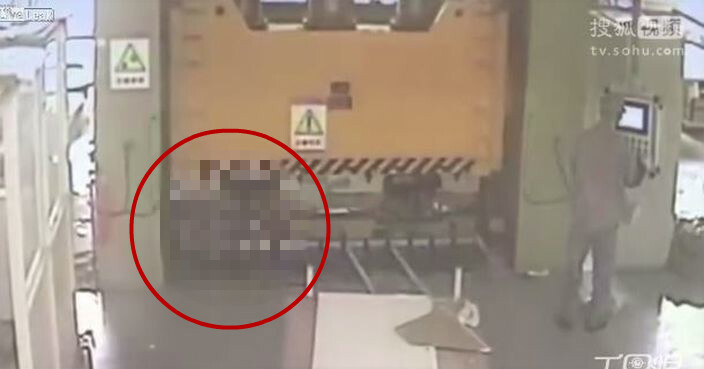 The worker who controlled the machine started the engine while the victim was bending down to fix the materials. The victim was not aware that the machine was going down, and failed to get out in time. He was compressed to death straight away. The video did not disclose where the accident took place and none of the media in the mainland had ever reported the incident. Many web-users questioned the authenticity of it. However, no matter it is true or not, most of them emphasized the importance of handling machines with caution and following instructions strictly. One of them said the majority of industrial accidents indeed happen like this in reality.